Plated Througholes Repair Services at BEST Inc.
Through-holes or vias are damaged in either handling of the boards or through the improper removal of a through-hole device. BEST technicians can help you repair those plated throughholes or vias. Eyelets are used by BEST technicians to repair these plated through-hole connections in order to repair PCB damage. 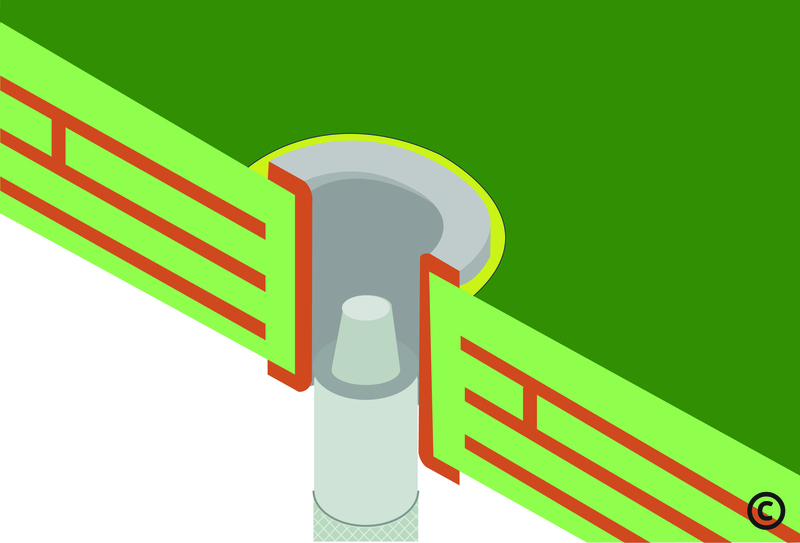 After preparing the surface, we will install a new eyelet and mechanically swage and if required solder it into place. Plated through-holes which are damaged on multi-layer boards can also be repaired to look "as good as new". The plated hole repair process starts by inspecting the area for damage and determing what if any inner layers are connected to the via or plated hole. Based on BEST experience we will then correspond with the customer on the severity of the damage, providing a cost estimate for the repair. Using calipers and the nearest available eyelet size the proper eyelt is chosen. The plated hole is then drilled out to make room for the new eyelet or a new eyelet may be press fit (depending on the diameter of the component lead going into the hole) into the plated hole. 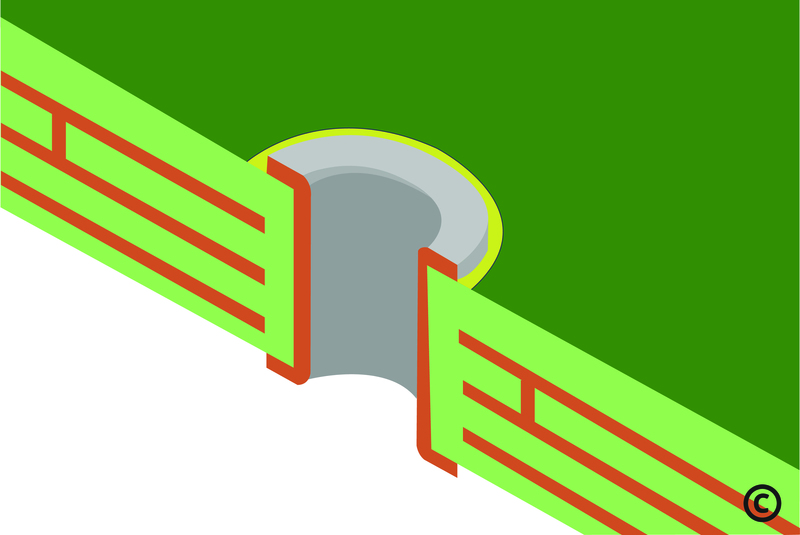 A swaging tool is then sued to affix the eyelet to the PCB. The area is inspected and any electrical or functional testing is then performed. Man, you guys are unbelievably fast!Man, you guys are unbelievably fast!